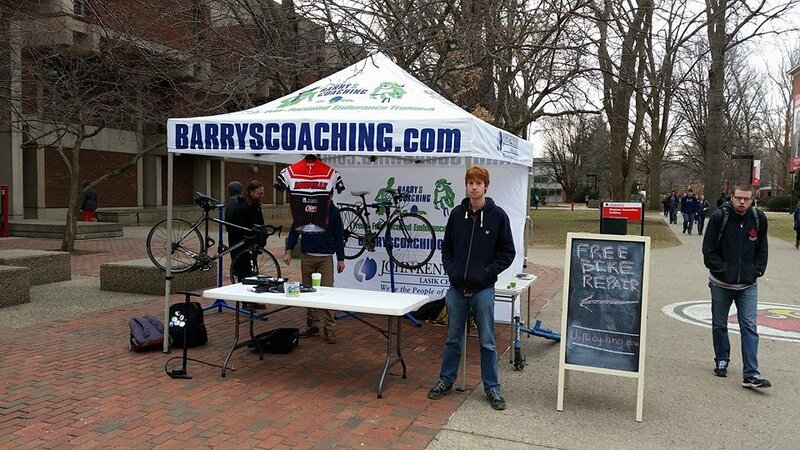 Louisville, Ky.- The Student Cycling Coalition began its campus outreach of 2015 with this year’s first campus Pop Up Cycle Station. 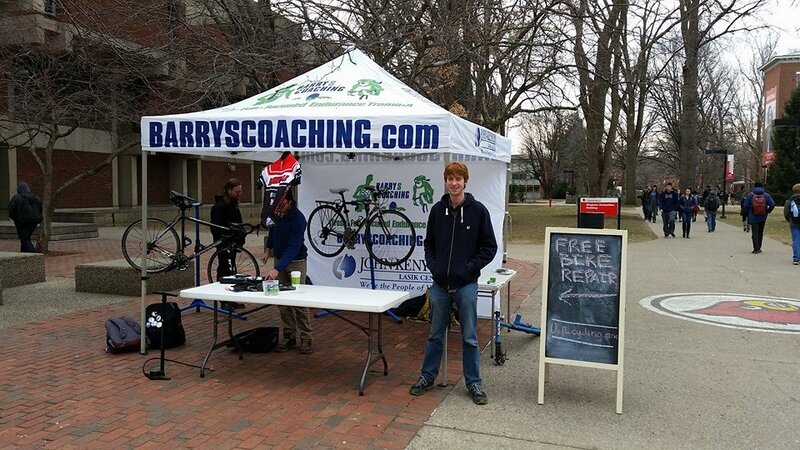 The SCC offered free bicycle repairs to UofL students, while the Engage Lead and Serve Green Initiatives Board was present to help register bicycles for the University Police database. The event was held at the Humanities Quad, in front of Ekstrom Library. It started at 10am and ended at 3pm, stretching over a total of five hours. Five members were present to provide the free repairs and bicycle repair advice. John Francisco, Lance Biddle, Jacob Holtgrewe, Andrew Tursic, and Abner Miralda worked together to repair or attend to 23 bicycles. Ben Leamon and Kelsey Voit from the ELSB Green Initiatives Board were present to register bicycles for ULPD’s bicycle information database. The success of this event would not have been possible without the help of generous sponsors BarryS Coaching, Middletown Cycling and Fitness, and VO2 Multisport. The University Interfaith Center also provided signage for the event. For the latest info on the SCC follow us on Facebook, Instagram, or on Twitter! John didn’t want to smile. 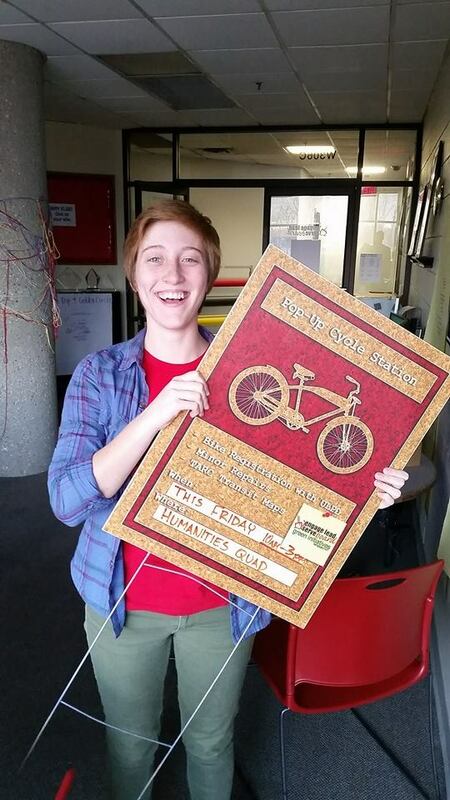 Kelsey Voit from the ELSB Green Initiatives Board holds up a yard sign advertising the Pop Up Cycle Shop.